CAO BANG (VNS) — The People's Court in the northern mountainous province of Cao Bang yesterday found five persons guilty of illegal drug trafficking. 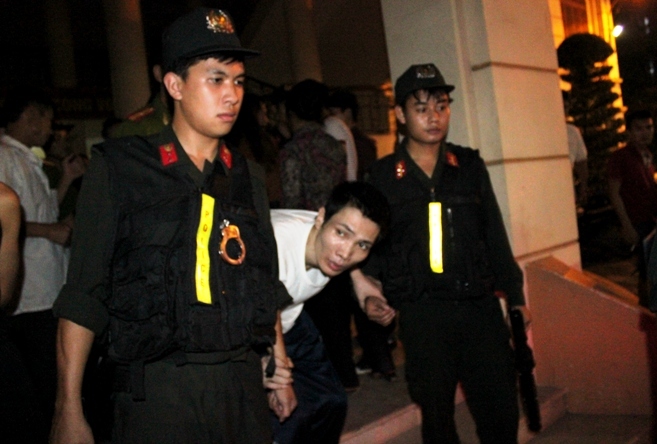 Dam Nhat Thinh, 37, a resident of Hop Giang District, was sentenced to life in prison. Nong Van Song, 43, from Trung Khanh District, and Tham Duc Tu, 31, from Song Hien District, were sentenced to 20 years in prison. Tran Thi Hai, 39, from Hop Giang District, was sentenced to 18 years in prison, and Bui Minh Dung, 34, was sentenced to 15 years in prison. According to the indictment, all five convicts were guilty of the same crimes of buying, selling and illegal storage of drugs. At the end of last year, a man named Thang (now absconding), asked Tu to buy heroin in unlimited quantities in return for payment. On April 20 this year, Tu phoned his father-in-law Song and asked him to buy heroin. Song then asked Thinh, a drug addict, to buy it. The next day, Thinh told Song that he had found five cakes of heroin of more than 1.7kg and had decided the date for buying it in a local hotel. However, the suspects were arrested by border guards and local police while they were going to receive the drugs.